Buy this item and earn 719 ClubPoints. 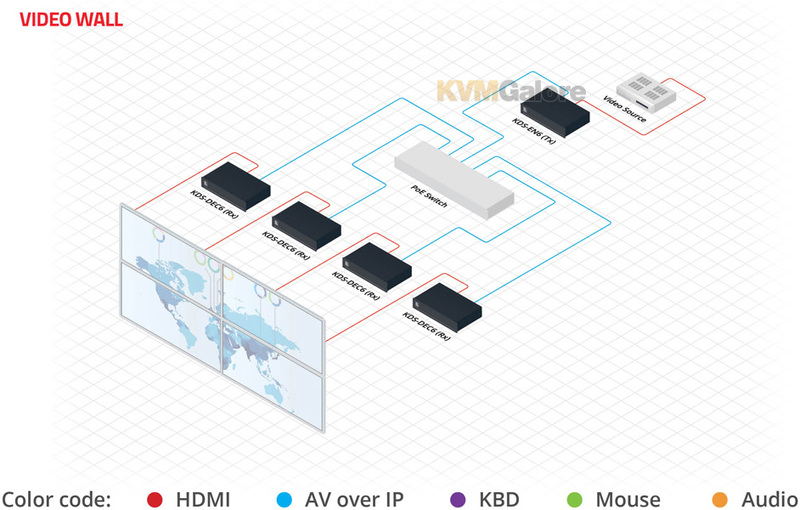 Kramer MegaTOOL® KDS-EN6 encoder provides AV streaming over an IP network that carries 4K @ 60Hz (4:2:0) video, audio, IR, RS-232 and USB over IP with HDCP 2.2 in unicast (one-to-one) or multicast (many-to-many) configurations. 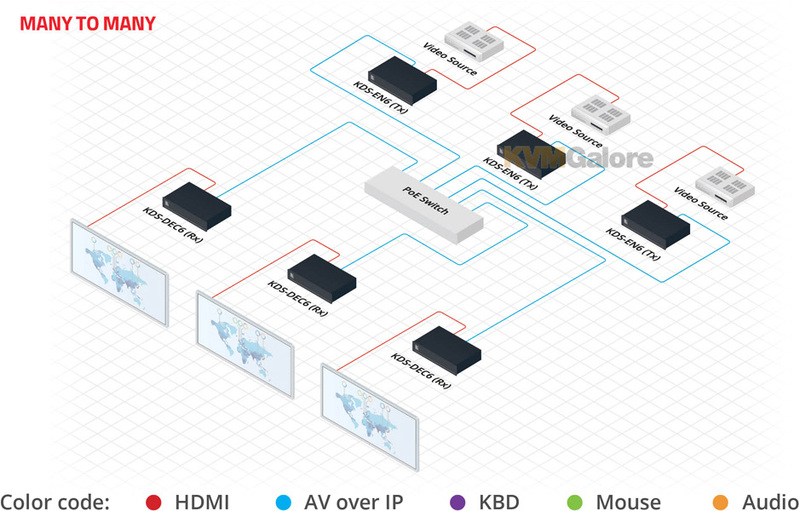 • Video Support - HDMI 4K @ 60Hz (4:2:0), HDMI 4K @ 30Hz (4:4:4). 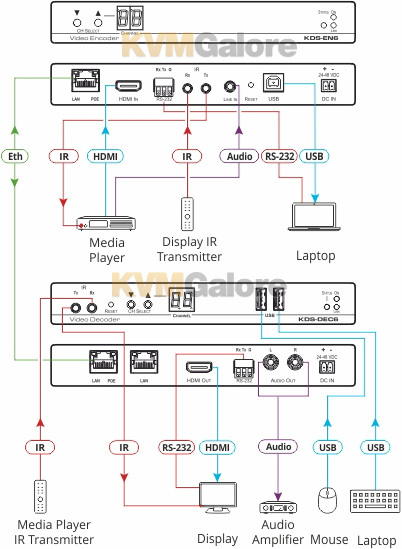 • Audio Support - HDMI/line in, 7.1 PCM, Dolby True-HD, and DTS-HD Master audio. 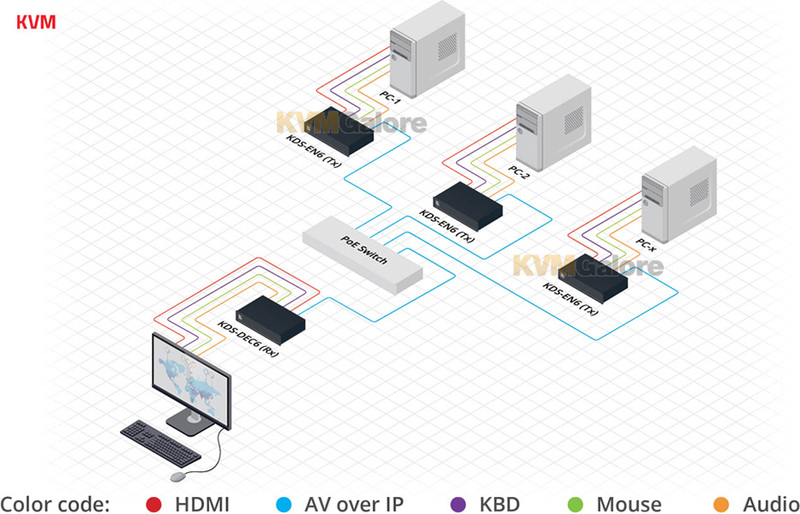 • Virtualization - IR, USB, RS-232 over IP. • Network - Managed switch, 1G, multicast, jumbo frames, IGMP snooping layer 2. 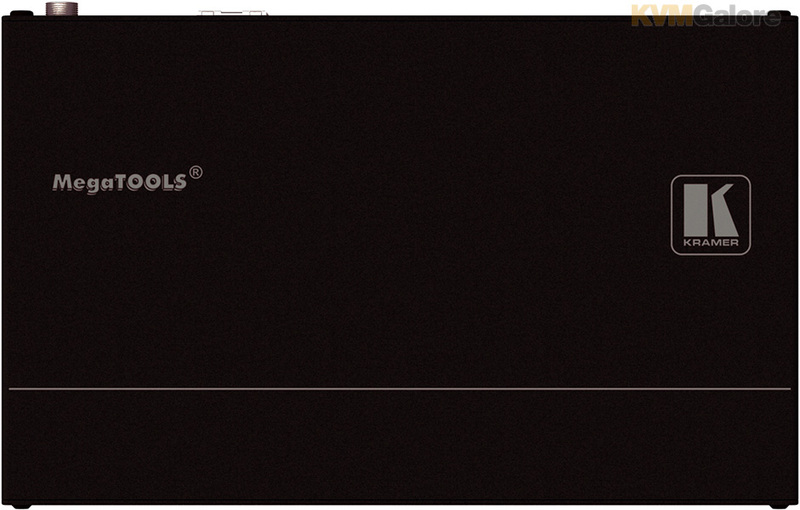 • Control - Kramer Network, Kramer Control, Web UI, API. • HDCP - 2.2 compliance. • Flexible video wall setups. 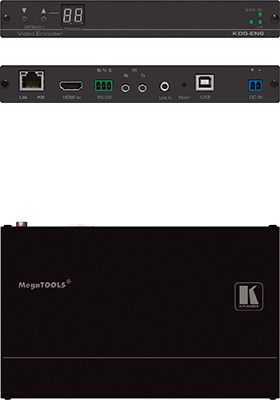 • Size - MegaTOOLS® letting you mount two units side-by-side in a 1U rack space with the optional RK-T2B rack adapter. • Real-time essential installations such as sports bars and interactive solutions. 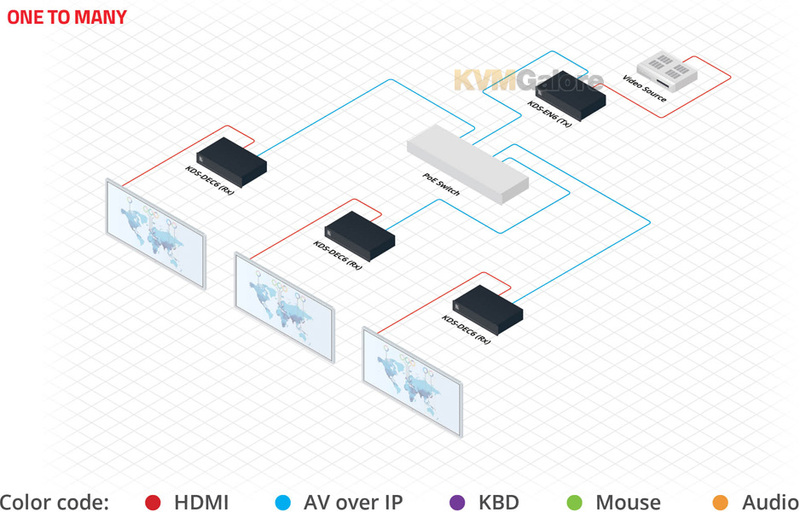 • AV distribution systems with one or more sources and many displays in schools, universities, and public venues. • Long-distance transmission of signals using existing wires and infrastructure in corporate offices or government applications. • Advanced applications requiring recording, archiving, scaling and more. Listed below are additional products to consider which are compatible with KDS-EN6. These items may be required to complete your system.